Health Costs > How Much Does a Koko FitClub Membership Cost? The Koko FitClub, unlike most gyms, won’t be an open concept you’re used to. Instead, it’s a training system that combines cardio, strength training and a nutritional program that’s customized for you based on a combination of assessments. Koko, meaning “individual” in Japanese, is a national franchise with locations across the United States. How much does a Koko FitClub monthly membership cost? The cost of a membership will start at about $79 per month if you sign up for the year, but if you don’t want to commit that long, the price increases to $99 to $110 per month. New members will also have to pay a $158 starter kit fee, which includes your key, headphones and personal assessments. This key fob allows you to access the club at all times and will be inserted into the machines while working out. The Denver Post, when they visited a location, was quoted $79 a month if they signed up for one year or $99 per month if they committed for three months. Members on this City-data.com forum thread said they were quoted $300 for three months, plus the $150 starter kit fee. A reviewer for the Herndon, Virginia location, said he paid $89 per month, while another reviewer for the Redmond, Washington location paid close to $100 a month. All members get unlimited access to their home location and three visits a month at other locations nationwide. During a typical session, you simply show up to the gym, insert a key into the equipment and the machines will start telling you what you need to do. Over time, the program will track your eBMI and lean muscle levels each time you come in to help create your workouts. The club promises that they have it down to a science, and if you commit up to four times a week, you can start to see weight loss as long as you follow their nutritional program while attending the club. The average session, according to its members, includes a 30-minute strength workout and 15-minute cardio workout. Members also receive a free personal website that tracks your progress and includes daily customized meal plan ideas, recipes and grocery lists. 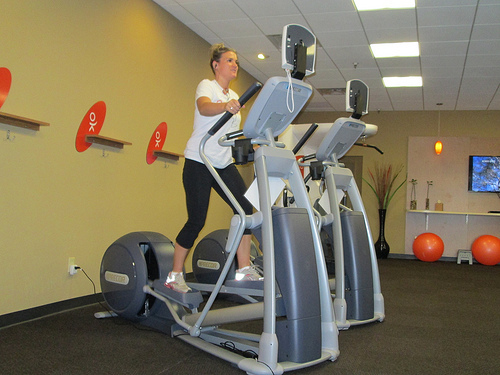 Most amenities, from what we researched, includes a smaller-than-average locker room and a one-room facility that typically includes a few ellipticals, treadmills and strength machines. There will be no mirrors, no juice bar, no childcare and no towel service. From time to time, you may be able to find an offer on Groupon.com. The club does offer a 30-day “happiness pledge,” where they will let you go with no questions asked if you’re unhappy with your results and the facility. The official club’s website does offer trial memberships for new members. For instance, at the time of this publishing, they did offer a “30 days for $30” opportunity. If you know you want to commit to the gym, consider signing up for the year to bring your monthly costs down. Discounts are available for some insurance companies and employers. Check with either to see if you can get a discount.